I’m a librarian living in Windsor, Ontario, Canada. I enjoy reading, writing, amateur photography, video games, travelling, and pretending to speak French. I live near the waterfront, and I absolutely love finding a good spot outdoors to curl up with a novel or a notebook. One of the spots where I like to sit and read. I’ve been working at the local university’s library for almost two years, and while I love my job, I don’t get to do any readers’ advisory like public librarians do. In library school, I took a course on how to evaluate books for their appeal and recommend them to readers. I’ve been wanting to put these skills to good use for a while. Blogging and bookstagramming will (hopefully) fill this book-shaped hole in my heart. I read stories in (almost) all genres, and I was reviewing them on Goodreads anyway, so I decided to take the plunge and create a book blog. Feel free to add me as a friend on Goodreads, and we can compare books and judge each other. I’m also a writer, and I’m currently querying my first novel – a horror story, editing a psychological thriller, and drafting a young adult romance/thriller trilogy. If you’re interested in my writing or if you’re curious to see what kind of contribution I’m making to the burgeoning field of academic librarianship, check out my website at: www.helenpower.ca. 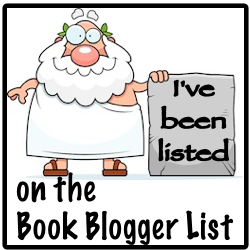 If you have a book you would like me to review, please go over to my Book Review Policy page and submit through the Contact page. I look forward to discussing books with you!